What kind of economy is consistent with living inside a living being? This question is being answered in experiments across the globe, from community forests in Mexico to "industrial symbiosis" in Denmark. “What kind of economy is consistent with living inside a living being?” This was a question posed under a leafy canopy, deep in the woods of southern England, not far from Schumacher College where I’d come as a teacher. I stood listening with a group of students as resident ecologist Stephan Harding asked what for me would become a pivotal question – the only question there is, really, as we negotiate the turn from the industrial age into a new age of civilization. I’d come to Schumacher to share my learnings from four years as cofounder of Corporation 20/20 at Tellus Institute in Boston, where I’d helped lead hundreds of experts in business, law, government, labor, and civil society to explore a critical question: How could corporations be redesigned to incorporate social and ecological aims as deeply as financial aims? Over 20 years as co-founder and publisher of Business Ethics magazine, I’d seen how corporations and financial markets had come to be the dominant institutions of society, how their profit-maximizing operating system had become the operating system of the planet. That design lay at the root of many major ills facing our society. But Stephan’s talk helped me understand why redesigning corporations did not quite hit the mark as the solution: You don’t start with the corporation and ask how to redesign it. You start with life, with human life and the life of the planet, and ask, how do we generate the conditions for life’s flourishing? If you stand inside a large corporation and ask how to make a sustainable economy, the conversation has to fit itself into the frame of profit maximization. (“Here’s how you can make more money through sustainability practices.”) Asking corporations to change their fundamental frame is like asking a bear to change its DNA and become a swan. A better place to start – as the founding generation of America did – is by articulating truths we hold to be self-evident. That’s what Stephan did in the forest, saying simply: “A thing is right when it enhances the stability and beauty of the total ecosystem. It is wrong when it damages it.”[i] The sustainability of the larger system comes first. Everything else must fit itself within that frame. Central to the mandate of profit maximization is the imperative to grow – and that growth imperative threatens the earth. What keeps that mandate in overdrive is the Wall Street demand for rising profits and stock price. Corporations, and the capital markets where their ownership shares trade, are the internal combustion engine of the capitalist economy. These organizational systems have become the main driving force of ecological systems. In the short run, profit-maximizing companies can help in a rapid transition to a greener economy. But that transition might represent a brief moment in time. If civilization and planetary ecosystems are still functioning well 50 years from now (not a small if), what about the next 50 years? And the next 100 or 1,000 years beyond that? What kind of economy will be suited for ongoing life inside the living earth? Will it be an economy dominated by massive corporations intent on earnings growth? That doesn’t seem likely. In the long view, the question turns itself about: Can we sustain a low-growth or no-growth economy indefinitely without changing dominant ownership designs? That seems unlikely. Probably impossible. How do we make the turn? What are the alternatives to extractive design, that seeking of endless extraction of financial wealth? Can we design economic architectures that are self-organized around serving the needs of life? After my time in England, this question set me on a quest, and I was heartened to find democratic ownership alternatives emerging in unsung, disconnected experiments across the globe. I studied employee ownership, tribal ownership, municipal ownership, commons ownership, social enterprise, community land trusts, and other models. If industrial-age ownership represents a monoculture model, emerging designs are rich in biodiversity. Yet they embody a coherent school of design – a common form of organization that brings the living concerns of the human and ecological communities into the world of property rights and economic power. These various models represent a single family of democratic forms of ownership, with living purposes at their core. Together, they potentially form the foundation for a generative economy: a living economy that is designed to generate the conditions for life to thrive, an economy with a built-in tendency to be socially fair and ecologically sustainable. In ownership design, five essential patterns work together to create either extractive or generative design: purpose, membership, governance, capital, and networks. Extractive ownership has a Financial Purpose: maximizing profits. Generative ownership has a Living Purpose: creating the conditions for life. While corporations today have Absentee Membership, with owners disconnected from the life of enterprise, generative ownership has Rooted Membership, with ownership held in human hands. While extractive ownership involves Governance by Markets, with control by capital markets on autopilot, generative designs have Mission-Controlled Governance, with control by those focused on social mission. While extractive investments involve Casino Finance, alternative approaches involve Stakeholder Finance, where capital becomes a partner rather than a master. Instead of Commodity Networks, where goods are traded based solely on price, generative economic relations are supported by Ethical Networks, which offer collective support for social and ecological norms. I saw the power of Stakeholder Finance in the wind guilds of Denmark, groups of small investors who joined together to fund wind farms. (See this 2004 report from the UK’s Department of Trade and Industry.) Those wind guilds jumpstarted the wind industry in Denmark, where one-fifth of the nation’s electric power today comes from wind, more than any other nation. I saw the power of Living Purpose and Rooted Membership in the community forests of Mexico, where control over forests has often been granted to indigenous tribal peoples – like the Zapotec Indians of Ixtlan de Juarez in southern Mexico. At Ixtlan, problems of deforestation and illegal logging have become relatively unknown. Community members have incentive to be stewards, because forest enterprises employ hundreds of people harvesting timber, making furniture, and caring for the forest. These are living forests, communities of trees and humans, where the purpose is to live well together (see also this and this report). 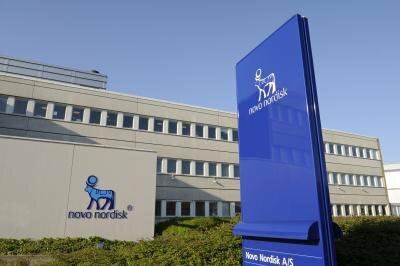 On a larger scale, I saw Mission-Controlled Governance in Denmark, where the major pharmaceutical Novo Nordisk produces 40 percent of the world’s insulin in Kalundborg. That town is home to a famed example of “industrial symbiosis,” where waste from making insulin is used by farmers as food for pigs, or for fertilizer. That ecological design – stable for decades – is possible because governance of this major, publicly traded company is also stable. The company is legally controlled by a foundation, intent on the Living Purpose of defeating diabetes. What makes generative designs a single family are the living purposes at their core, their democratic frame of ownership, and the beneficial outcomes they tend to generate. More research remains to be done, but there is evidence that these models tend to create broad benefits, and to remain resilient in crisis. We’ve seen this, for example, in the success of the state-owned Bank of North Dakota in the 2008 crisis, which led more than a dozen U.S. states to pursue similar models. We’ve seen it in the resilience and responsible behavior of U.S. credit unions, which tended not to create toxic mortgages, and required few bailouts. In the UK, this same lesson was confirmed with the experience of building societies, which are member-owned banking organizations. In the 1980s and 1990s, many of these converted to traditional bank ownership, but as the New Economics Foundation reported, after the banking crisis not a single one of these converted institutions was left standing as an independent bank. They had all been absorbed into larger banks, or gotten into trouble and had to be rescued; in the most spectacular case, Northern Rock had to be nationalized and kept afloat by tens of billions of pounds in public money. Novo Nordisk allows for "industrial symbiosis"
Beyond the financial sector, we’ve seen the success of generative design in the fact that workers at firms with employee stock ownership plans in the U.S. enjoy 2.5 times the retirement assets of comparable employees at other firms. [iii] And we’ve seen it in the fact that the Basque region of Spain – home to the massive Mondragon cooperative – has recently seen substantially lower unemployment than the country as a whole. To move from isolated examples toward a fully generative economy, we may need a global movement of citizens, investors, and businesses, both profit and nonprofit, working together to create a pincer strategy – one arm aimed at reforming existing large companies, another aimed at promoting generative alternatives. We may need different designs in different sectors; generative private ownership may be appropriate for producing goods and services, for example, while commons ownership is better suited for natural resources. Government might incentivize and ultimately require a phase-in of generative ownership. At some point society must redesign the operating system of major corporations; otherwise alternative designs may remain marginal, or face absorption. Yet forcing all major corporations to change their core purpose may be the wrong place to begin. Advancing generative alternatives could be a more likely place to win early successes – laying the ground for bigger wins in the future. Through working for democratic ownership designs, we can advance the knowledge needed to create a truly generative economy, one that might have a built-in tendency to be socially fair and ecologically sustainable – an economy that would at last be consistent with living inside a living being. 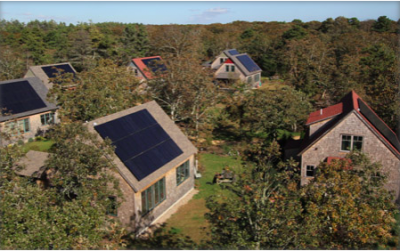 An earlier version of this article was published at the SlowMoney blog: and is excerpted from Marjorie Kelly, Owning our Future: The Emerging Ownership Revolution. [i] He was quoting loosely from Aldo Leopold’s A Sand County Almanac. “A thing is right when it tends to preserve the integrity, stability, and beauty of the biotic community. It is wrong when it tends otherwise.” (New York: Oxford University Press, 1966). [ii] Marjorie Kelly, Owning Our Future: The Emerging Ownership Revolution, Chapter 7, “The Island,” San Francisco, CA: Berrett-Koehler Publishers, 2012. Also John Abrams, Companies We Keep: Employee Ownership and the Business of Community and Place, White River Junction, VT: Chelsea Green Publishing Co., 2008. [iii] Corey Rosen, National Center for Employee Ownership, letter to editor in Wall Street Journal, September 11–12, 2010.